I'm sure by now you've noticed how obsessed I am with slide sandals! I have this white pair ^^ and a black pair that I basically rotate all week, and then a brown pair on their way to me right now 😍 I love how effortless and minimal they feel! Like you just breezed out the door looking all chic without any thought or effort at all (not true whatsoever, but I like to give off that vibe 😜). I also find them to be so comfortable. Kind of like a glorified [and much chicer] flip flop! I rounded up several of my favorite finds from around the web if you're in the market! They're all under $100, but many are significantly cheaper. 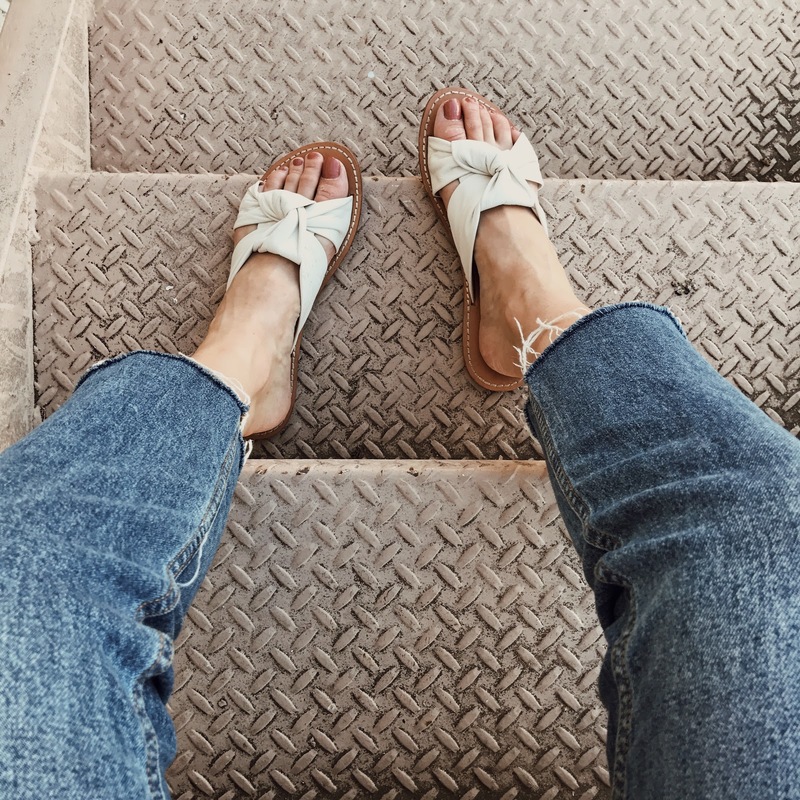 Fortunately this time of year sandals start going on sale, so hopefully you can find what you're looking for and get a great deal! Also, I'm sure you've heard (haha) that the Nordstrom Anniversary Sale kicked off to cardholders this morning, but there's also a sneak peek for those of us who don't have a Nordstrom card 🙋 I'm not going to do a sale roundup post until next Friday when the sale opens to the public since I honestly think the sale gets SO overhyped, but if you can shop it now, I'll include just a few links today since there are some really good finds + deals. I plan to order my 3rd pair of these workout leggings, I'm obsessed with the sleeves and colors of this sweater, and am really feelin' these ankle boots for fall & winter.